Sound familiar? You are a new startup business. You are not in a financial position to hire a Admin person quite yet, but can’t find the 48 hours you need in a day to accomplish all your tasks. 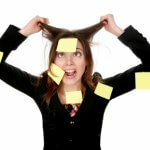 The thought of office overhead is causing you nightmares, but you are drowning with your current workload. You realize you could really climb that ladder of success if you just had the time to focus on promoting your business. But how do you balance your time?? It’s a constant juggle at the beginning of all new endeavors. How do you meet with clients, handle phone calls, schedule appointments, make travel arrangements, keep expense reports and track your success?? You are only ONE person. Thankfully we live in an amazing age of technology. Computers and the World Wide Web have opened a gamut of possibilities. More and more businesses are turning to the convenience and cost effectiveness of hiring Virtual Assistants. If you think about it, most business today is done via email or the occasional phone call. With that in mind, a virtual assistant seems like a no brainer. For any new startup business or small business owner, virtual assistants are the modern day answer to an age old issue. Being that all assistance is done virtually, you could live in Chicago and work with a virtual assistant company based in Los Angeles. As their popularity is on the rise, many new virtual assistant companies and virtual assistant jobs are springing up nationwide. Employees are able to work remotely using a broad list of programs to interact with your work load. Most assistants are highly skilled individuals with many years of experience in various areas of the workforce. From handling your schedule, planning your travel, designing your website to managing senior executives, you will find it easy to have your specific needs met. One of the BIGGEST reasons to consider hiring a virtual assistant is your reduction in labor costs. We all know how frustrating it is to pay you administrative support to spend part of their day waiting for the phone to ring. I don’t know of many new startups that can afford employee down time. Contrary to belief, hiring a virtual assistant is extremely easy on your budget. With many agencies charging as minimal as 15 min. increments of time spent assisting with your daily needs, you happily only pay for the actual time they work. You are freed up from the expense of payroll taxes, medical insurance, sick days, vacation pay, and worker’s compensation. Not to mention, you have no overhead of office rental space to deal with. Your personal virtual assistant will be able to work around your schedule, sometimes handling specific skills that you yourself are not especially gifted at. Many of the life breathing tasks a virtual assistant can perform include intercepting and screening your calls, scheduling appointments and keeping track of your calendar. Specializing in various areas, many are able to oversee and manage large projects, create expense reports and ensure your bookkeeping and accounts are up to date; all the while freeing up your very valuable time to pursue your business dreams. I recommend you start with a check list of your specific needs. Be it, bookkeeping, invoicing and billing or scheduling and booking travel. Estimate your amount of time spent on each of these areas weekly. This will help when you interview with a few virtual assistant companies. Once you free up your time to concentrate on the heart and soul of your business, you will be wondering why you didn’t hire an assistant sooner!